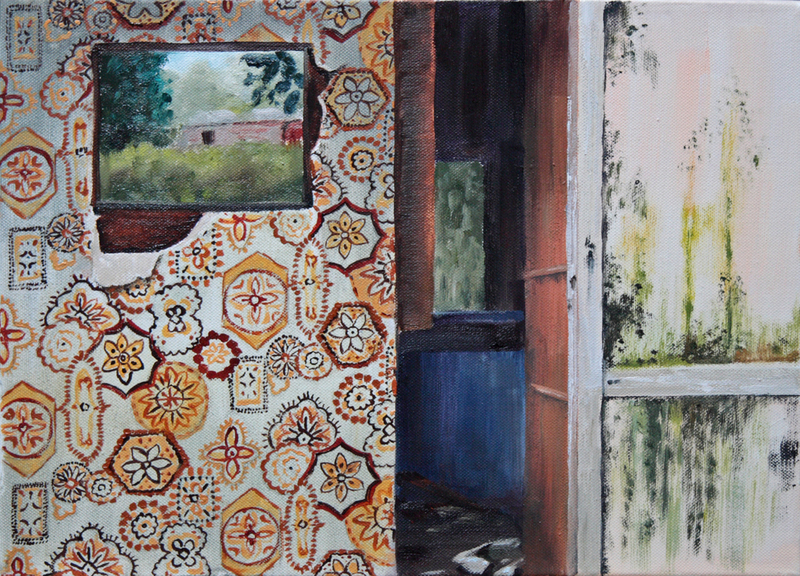 This series of drawings and paintings was inspired by walks in Shropshire and environs in which I made observations of cabins, caravans and sheds of various kinds. Each place was evidently a place of previous or ongoing habitation, mostly by persons unknown. The circumstances of their abandonment are also unknown or ambiguous, but provoking curiosity. In their woodland surroundings, these places could be viewed as idyllic retreat or desperate refuge. 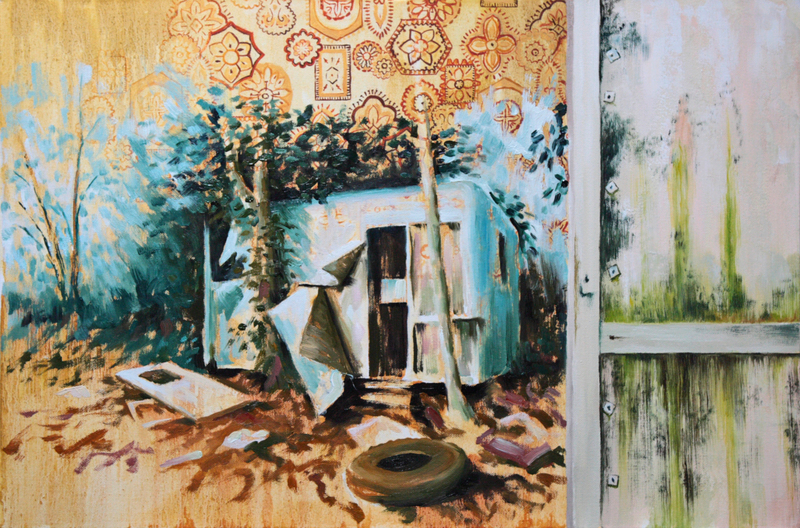 In these works I contemplate primitive living from ancient human history and a dystopian future. 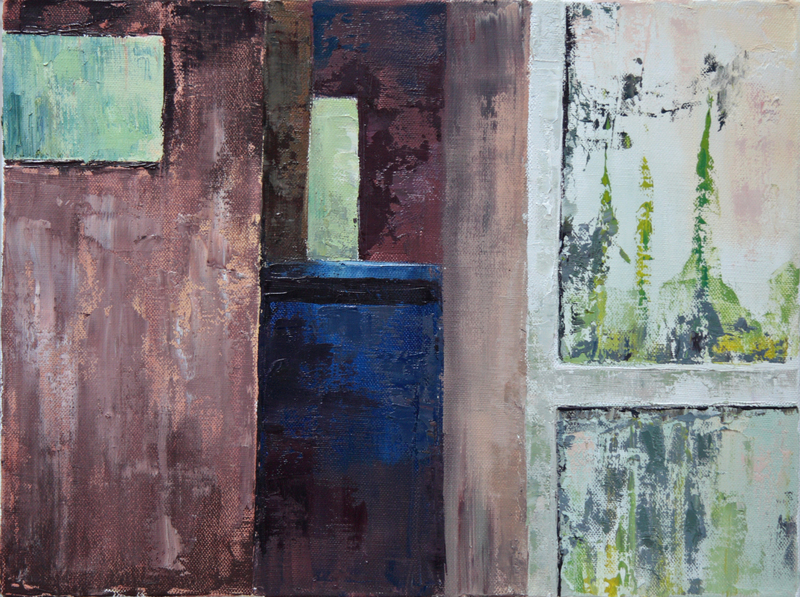 Gaston Bachelard’s “Poetics of Space” was a reference in my reflections on these precarious living conditions. Read more in posts on my blog here and here.